For the average incoming freshman, leaving friends and family to go to college for the first time is often an overwhelming experience. But for international students, these nerves and uncertainties are amplified, as they must travel longer distances and face an entirely new culture and language. That’s where the Notre Dame International Ambassadors step in. International Ambassadors (IAs) are a select group of Notre Dame students, both international and American, undergraduate and graduate, who serve as the leadership team for the International Student and Scholar Affairs (ISSA). 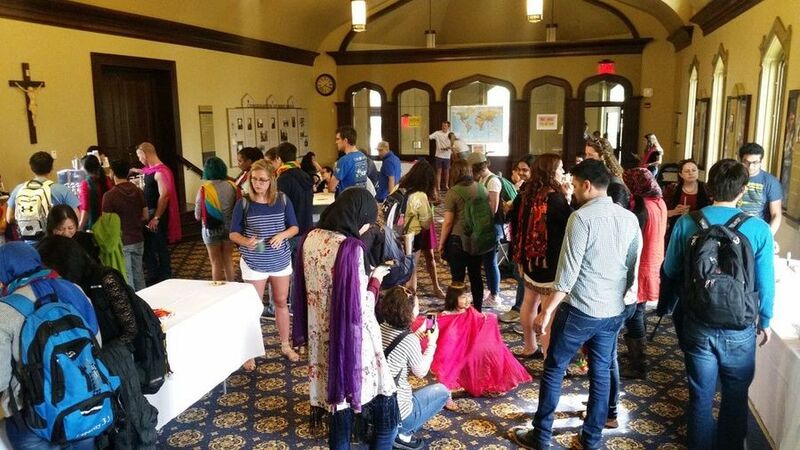 The IA team assists with the International Student Orientation, which takes place two days prior to freshman orientation in August and is designed to give incoming international students a few days to acclimate and learn about the resources available to them through Notre Dame International. Junior Elisabeth Mukayuji, an IA from Kigali, Rwanda, recalls how her transition to Notre Dame was made easier three years ago with the help of IAs at the time. Since the program’s inception in 2009, IAs have acted as peer mentors for the international student body, assisting them with their academic, cultural, and social adjustment to the United States and Notre Dame. Next year, roughly 32 students from over ten countries will make up the IA team. These countries include: Canada, China, Egypt, Germany, Indonesia, Iran, Kenya, Mauritius, Nigeria, Rwanda, and the U.S.
IAs begin building their relationships with incoming international students before they even step foot on campus. Over the summer, the IAs reach out through email to answer any questions they might have about life at Notre Dame, American culture, classes, and make sure they know how to get to campus from the airport. The shared background and experiences between international students and the IAs are what makes the program so unique and beneficial. While the IAs ensure that incoming international freshmen feel welcomed and supported, they are also valuable resources for the entire 1,300 students that make up the international student body. This includes graduate students who often face different obstacles such as living off campus, variations in class style, and less emphasis on overcoming the language barrier. American IAs have a richer experience at Notre Dame through the relationships built while working with international students. Senior Kinga Fluder is an IA from Chicago. After growing up parents who immigrated to the U.S. from Poland, Fluder developed a passion for traveling and learning about new cultures. This cultural exchange begins every August when, prior to the international orientation, the IAs attend a three-day retreat in Bridgman, Michigan. “The retreat is a kickoff for us all to bond and get to know each other,” said Heather Christensen, the ISSA program coordinator. From icebreakers to team-building activities, the retreat gives the IAs time to connect with one another before connecting with the incoming students they had been in contact with all summer. Christensen also takes this opportunity to divide the IAs up into three committees: International Taste of South Bend, Global Café, and Student Safety Summits and Returnee Retreats. 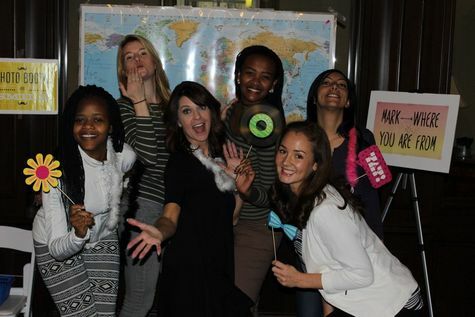 Each committee is responsible for helping Christensen plan and execute several events throughout the year for international students to connect with each other and showcase their background and traditions. As the IAs strive to build a welcoming home for the rest of the international student body, they begin to develop one of their own within Notre Dame International. From monthly dinners to the countless meetings leading up to events, the IAs create a sense of family miles from home. Originally published by Teagan Dillon ’18 at international.nd.edu on May 25, 2017.